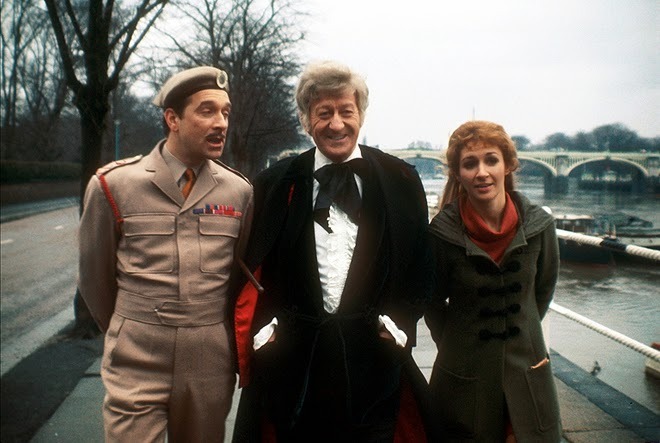 PERT-WEEK - Doctor Who: The Jon Pertwee Years | Warped Factor - Words in the Key of Geek. 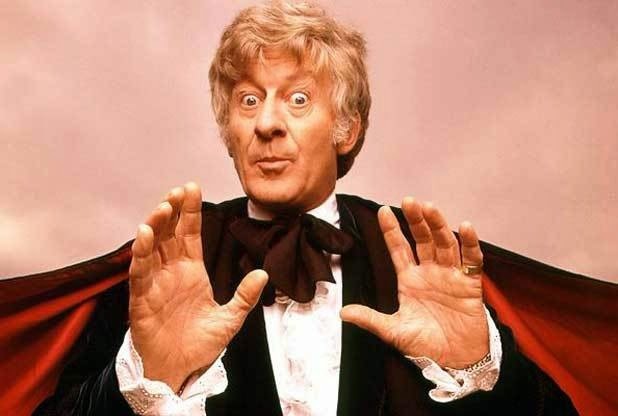 On what would've been Jon Pertwee's 96th Birthday, Christopher Morley reverses the polarity of the neutron flow and pays tribute to the Third Doctor. If you're a fan of 'classic' Who, you might well have noticed that the Twelfth Doctor appears to have taken fashion tips from his Third incarnation. But look beyond the dandyish threads and the younger of the two was perhaps more of a man of action than either of his two predecessors - which made his exile on Earth all the more interesting, however much he initially hated his punishment from the Time Lords (see The WarGames, his previous self's last stand - sentence passed for repeated breaches of a staunch non-intervention policy). After he fell from the TARDIS at the beginning of Spearhead From Space, an air of mystery abounded. Just when and how had the Second Doctor changed his appearance? Of course, if you're a Season 6B theorist you probably believe that he didn't necessarily do so straight away following the passage of the 'exiled to Earth' verdict - to explore this further see the novels World Game & Players and indeed the later serial The Two Doctors. All of which have Two working as a Celestial Intervention Agent on behalf of the very people who'd doomed him to a quick facelift. Which certainly explains how he's managed to get his hands on technology his recorder-happy past self could only have dreamed of once he's turned into a bit of a fop - frilly shirts the order of the day. 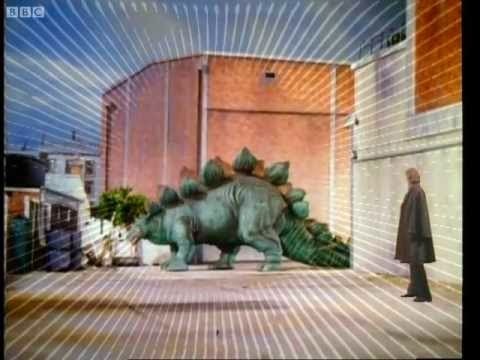 Unfortunately he can't get off Mother Earth as his knowledge of TARDIS operation has been taken from him (though he does of course get it back as part of a general reprieve for helping to stop antimatter swallowing the physical universe alongside his first two incarnations in The Three Doctors). 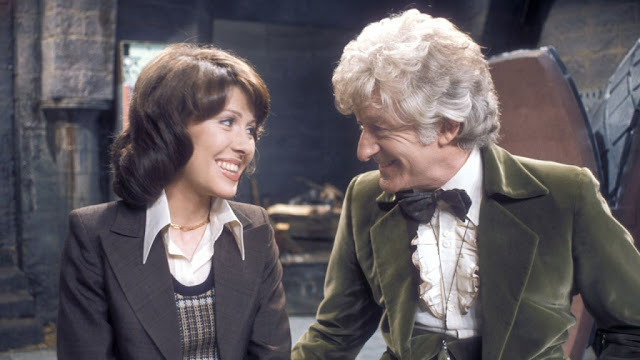 A lady companion who's a brainbox in her own right (Liz Shaw, then Sarah-Jane Smith), a recurring Time Lord foe (The Master), a wider role for UNIT, the Autons, the Silurians, the Sontarans. These are but a selection - oh yes, and all in glorious Technicolour to boot! Throw in the first use of 'wibbly wobbly timey wimey' years before it became 'cool'/Steven Moffatt's favourite little game (Day Of The Daleks, Inferno) and we've got ourselves quite something here. If you were able to watch that without giggling, well done! The next video makes for an interesting comparison piece & ups the laughter count. Speaking as we are of famous fans, let's turn our attention to one Steven Spielberg. The man behind Jurassic Park once said that 'the world would be a poorer place without Doctor Who'. Wise words indeed there from Steve - wonder if he might have treated himself to a repeat viewing of Invasion Of The Dinosaurs as 'research' at the time? That air of thrills & spills stays exactly on the needle, it is probably what most remember of the Third's age alongside the fashion statements and 'reverse the polarity of the neutron flow'. We also can't possibly go on without talking about the gadgets. More than any other Doctor, perhaps, the Dandy one fancied himself as a bit of a gentleman inventor. 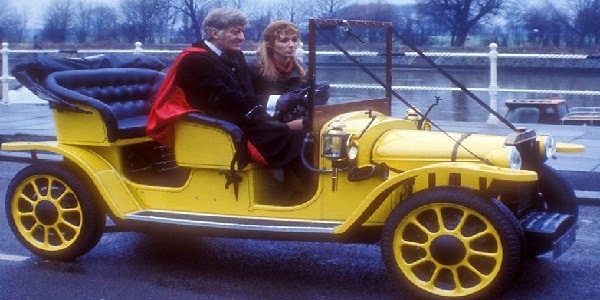 Witness Bessie, the Edwardian roadster he tinkered with (which had a semi-recurring role across its driver's era from Doctor Who & The Silurians to his last hurrah in Planet Of The Spiders, making cameo appearances alongside his Fourth & Seventh selves in Robot & Battlefield respectively), and the Whomobile - a specially commissioned hovercraft owned by Jon Pertwee himself and used in the aforementioned Invasion Of The Dinosaurs & Planet Of The Spiders. All of which won him fans, not least in the form of writer Mark Gatiss (whose novel Last Of The Gaderene is something of a labour of love/hero-worship, recently reprinted as part of a 50th anniversary reissue campaign), and the current pilot of the TARDIS, Peter Capaldi. On what would've been the great man's 96th Birthday, raise a glass with us to Jon Pertwee. An actor who, in his five years as the Time Lord, made a huge impact on the world of Doctor Who, and one whose legacy lives on in the show today.